1. Turn on the resizer for the store, located in Store Settings for the store you are working on. This is under Settings > Catalog > General. 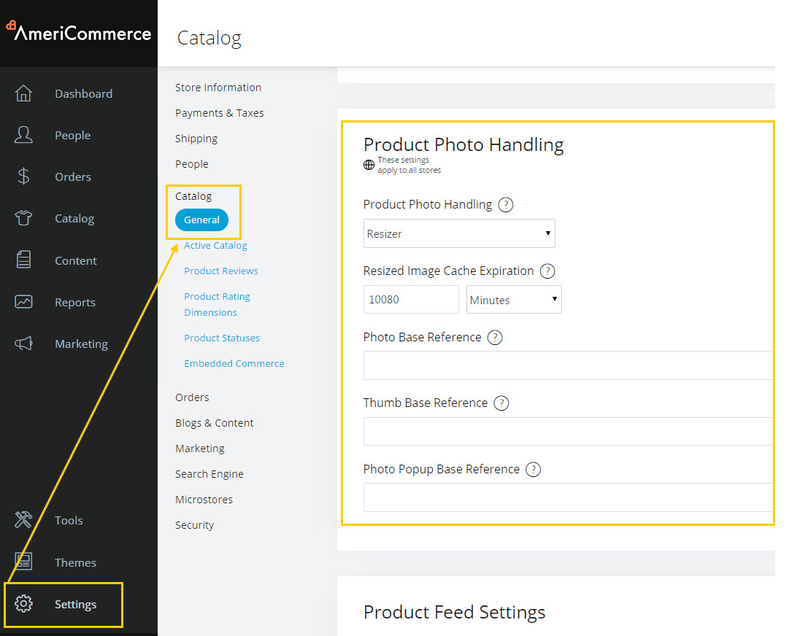 Scroll to the Product Photo Handling section. NOTE: Because this is a store level setting, ensure you have the correct store selected in the store dropdown. 2. 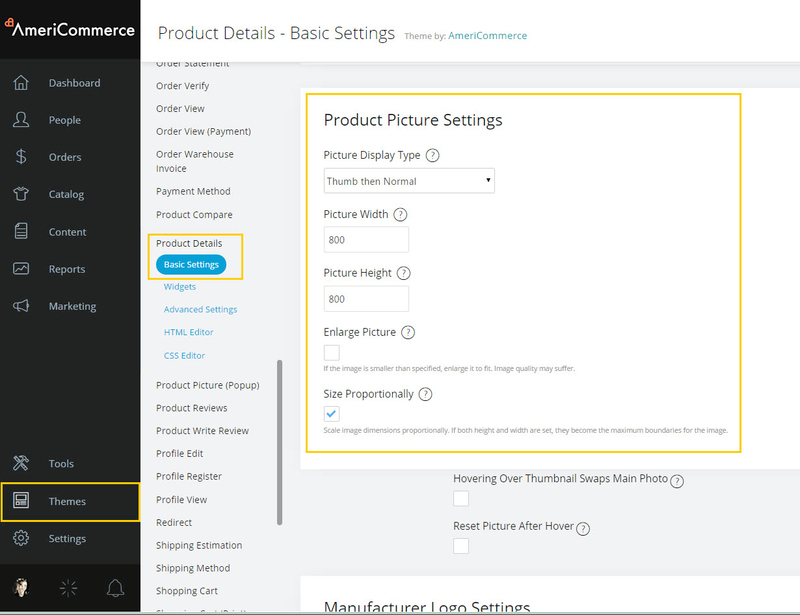 Find the image settings by going to Themes > Edit Theme and selecting the applicable page. We are using the Product Details for this example. By setting "Size Proportionally" you ensure that images don't skew/stretch. These fundamental image settings are self-explanatory. You can also use the resizer for your own images by using the URL and passing the size in the image reference. The image will generated at this size. These are useful for header images, email images, or any other image used on the site. /i/is.aspx /i/is.aspx? - this ending triggers the resizer to be used. lr = t - lock ratio so image is resized proportionally. Ensure the CSS classes or HTML sizing of your image are not overriding your resizer settings. If the height or width is set by CSS, it will override the image and force a less than optimal HTML resize. This causes pixelation when putting it at different sizes than you intended. For more details on this, see this article. You may see a difference in size when viewing your images vs cachedimages folders. Some files are renamed where the size is changed, and will still be present. The image is not easily deleted from the temporary cache folder, due to the files' naming convention. There is not an easy way to tell when a cached image was last accessed to remove old unused ones. You can delete all the files in your cache if you like. Next time the image is called, it will recreate the image which may slow down the page load time initially. This will most likely be a minimal slowdown, and will be hard to notice. The resizer requires the files to be on your site, and will store the images locally in the shared directory.